Genuine Dyson handheld vacuum cleaner pre filter. Suitable for: Dyson DC58, DC59, SV03, SV04, .. 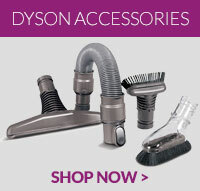 Compatible spare part to fit select models of Dyson vacuum cleaners Suitable for Dyson models DC5.. This main body assembly is a genuine part for select models of Dyson vacuum cleaners ..